From fashion to marketing, those are just a few of the trends that are coming in 2019. The new year is bringing new trends to watch out for, especially when it comes to logo design. When it comes to your brand, your logo design is extremely important because your logo is your brand’s ambassador. Making sure your logo is designed not only in a relevant way but in a timeless way is imperative. Using gradients in your design will allow your logo to incorporate more than a few colors, bringing more life and emotion to your brand. When your logo elicits emotion, it is doing its job. The use of gradients allows the designer to incorporate multiple unique colors into one logo making it distinct. While the trend of bright colors is going to become much more popular in fashion, it also extends to digital marketing. From website design to logo design, neon colors are the way to go. Bright and neon colors bring a level of excitement to a logo that catches eyes and make a statement. While the need to simplify logos has been a desire in previous years, in 2019 it has become a necessity for multiple reasons. Not only have brands started to simplify their logo designs because of the over-saturated world we live in, but also because of the need for responsive and quick websites. With the change of a site when it responds to a mobile user, your brand logo needs to be able to adapt to the new screen size as well. A simplistic logo will resize for different screen types without any loss of resolution or crispness. Continuing on the same note of simplification, geometric shapes will rise in logo design this year. This is because geometric shapes are often used to represent more complex ideas in a straight forward and clear way. In addition, logo designers will begin to partner geometric shapes with neon colors to make the cold shape feel warm and friendly. Knowing and incorporating these trends into your logo design will not only allow you to stay relevant in the marketing space but it will also make your brand more noticeable, understandable and lively. 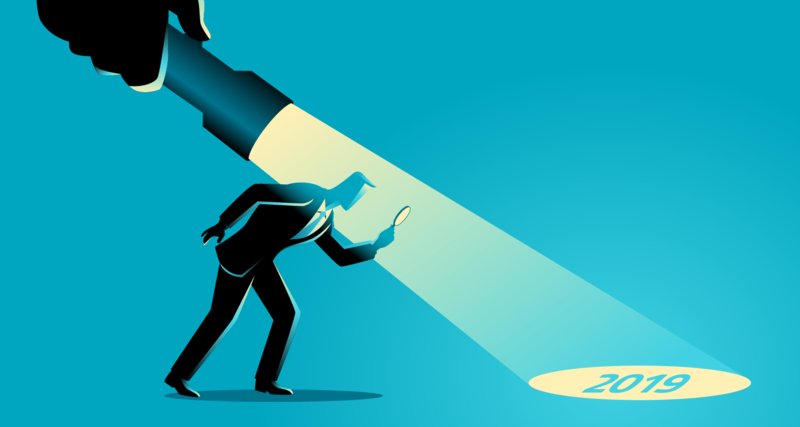 Using these four tactics will allow you to convey a message in a clean yet eye-catching way just from your logo design. We all know digital marketing is a mix of what you say and how you say it. 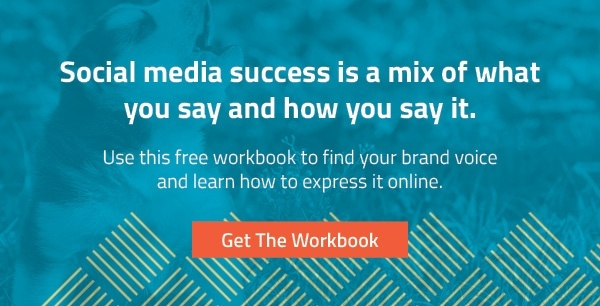 Use our FREE Brand Voice Workbook to find your brand voice and learn how to express it online.